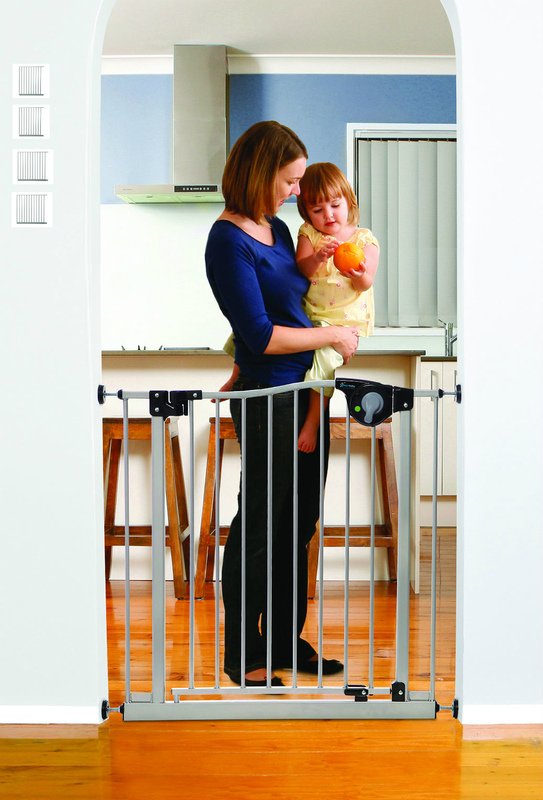 Pressure mounted – Very easy to set up and take down! 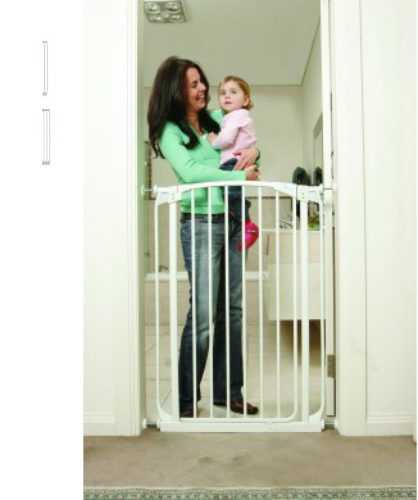 Gate opens in both directions and swings closed automatically! 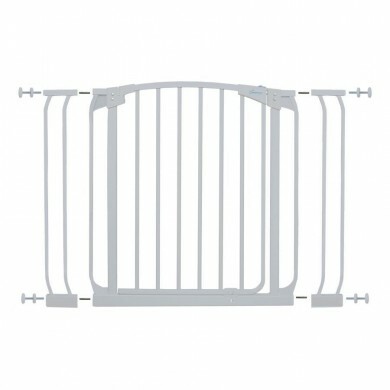 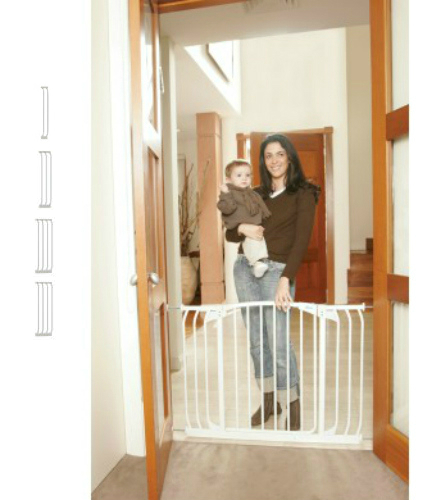 Get an extra tall pet gate and a wide pet gate with the Extra Tall Swing Close Security Combo Pet Gate from DreamBaby. White package.